“We have the means to limit climate change. All we need is the will to change.” Rajendra Pachauri, Chair, Intergovernmental Panel on Climate Change (IPCC). The most recent IPCC report states that climate change has already increased the risk of severe heat-waves and other extreme weather, and warns of worse to come. The report makes clear that carbon emissions – mainly from burning coal, oil and gas – are currently rising to record levels, not falling. Transport is expected to be a major driving force behind the growing world demand for energy. Continued urbanisation and economic growth mean that under a business as usual scenario greenhouse gas emissions are predicted to rise 50% by 2030. 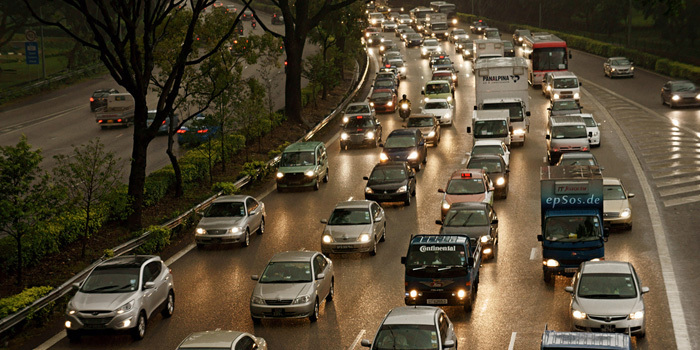 Tackling car dependency will be essential for achieving carbon reduction. The International Association for Public Transport (UITP) says that public transport has both the will and the means to act. At the recent UN Climate Summit in New York, the UITP announced its target of doubling the market share of public transport worldwide by 2025, which will deliver a saving of half a billion tonnes of CO2. In the UK, cars are responsible for 58% of domestic transport carbon emissions. Buses have a key role to play in reducing carbon emissions through modal shift. Research for Greener Journeys estimates that the best used bus services in urban centres are reducing carbon emissions by as much as 75%. Buses are also key to reducing congestion, which is a major constraint on economic activity. A recent report by the Centre for Economics and Business Researchestimates that British business will lose £300 billion to gridlock over the next 16 years. Greener Journeys is publishing today a toolkit designed to help bus operators and local authorities drive modal shift from car to bus. Driving modal shift from car to bus applies insights from behavioural economics and recommends a number of “switch tactics” to shake car drivers out of their well-worn routines. These include targeting drivers when they are most likely to be frustrated with driving – such as when trying to find a parking space, sitting in traffic or paying for petrol – and encouraging them to try using the bus. Car use is extremely habitual, and persuading people to break the car habit is not an easy task. Orthodox approaches to changing travel behaviour focus on monetary time and cost, and factors like convenience, reliability and comfort. Those methods remain as essential as ever, but the type of “switch tactics” outlined in the toolkit can be an effective means of enhancing traditional ways of changing behaviour. There is no silver bullet, but in the short term modal switch from car to bus offers an immediate and low cost solution for reducing carbon emissions. If everyone switched just one car journey a month to bus or coach instead, there would be one billion fewer car journeys and a saving of two million tonnes of CO2 every year. And engaging car drivers in modal shift campaigns delivers a benefit far beyond the immediate reduction of carbon emissions from transport. Behaviour change campaigns are a very real and tangible way to engage the general public on the need to reduce emissions. Such campaigns can help rally the kind of grass roots support needed to send a clear signal to Government, political parties and policy makers that climate change must be treated as an urgent priority.